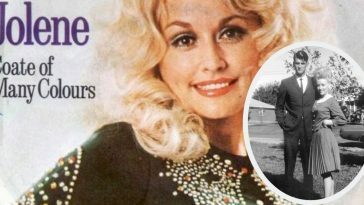 Did You Notice This Interesting Detail In Dolly Parton's Grammy Outfit? 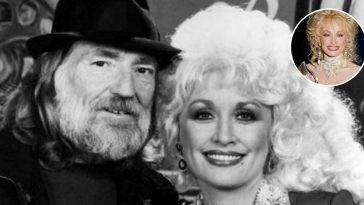 Dolly Parton was amazing at the 2019 Grammy Awards. Not only was she recognized as the 2019 MusiCares Person of the Year (The Grammy’s charity), she really brought down the house with her performances. Did we mention she looked stunning as well? Dolly looked beautiful on the Grammy Awards red carpet, wearing a beautiful red dress with silver details and a plunging, gemstone-covered neckline. She chose this look on purpose, and did you see the most interesting detail of all? For her performances, she changed into a white dress, but kept the red shoes! Did you notice? She actually sang “Red Shoes” at the Grammys and got everyone on their feet. The country band Little Big Town joined Dolly on stage to sing the song. Did you like the version of “Red Shoes” that included Little Big Town? Or do you prefer just Dolly singing? 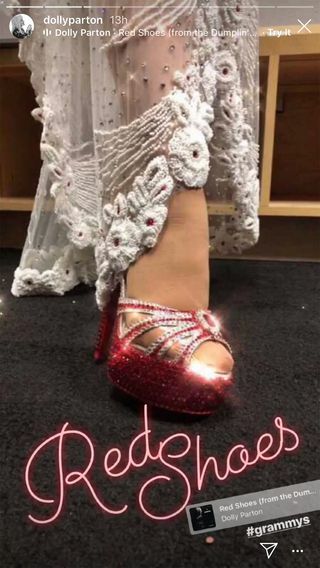 She also shared a photo of her red shoes on her Instagram stories and included a clip of the song. 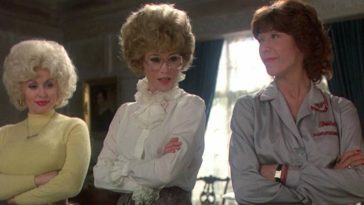 The clip also gives a closer look at her white dress, which was very sparkly and beautiful. Dolly is such an amazing storyteller. The song shares how her aunt Lucille let her wear her red shoes and her mother eventually got her own. She thinks those red shoes gave her some of her confidence! 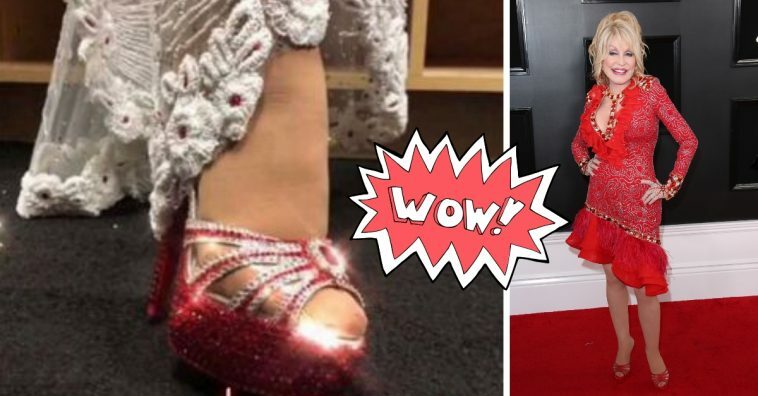 If you want to get a gorgeous pair of sparkly red shoes just like Dolly, check out this pair we found on Amazon for under $50! 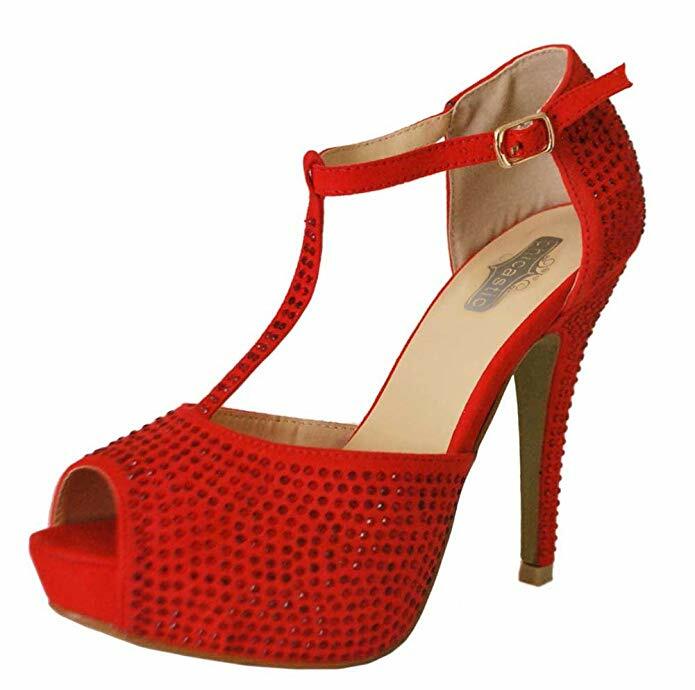 We think Dolly herself would love to wear this pair. Listen to the song “Red Shoes” from Dumplin’. 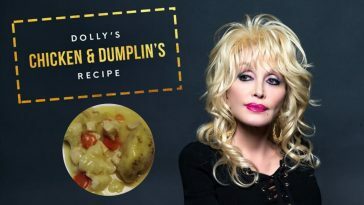 Have you seen the movie yet or listened to Dolly’s entire new album? We absolutely love both the movie and the soundtrack!